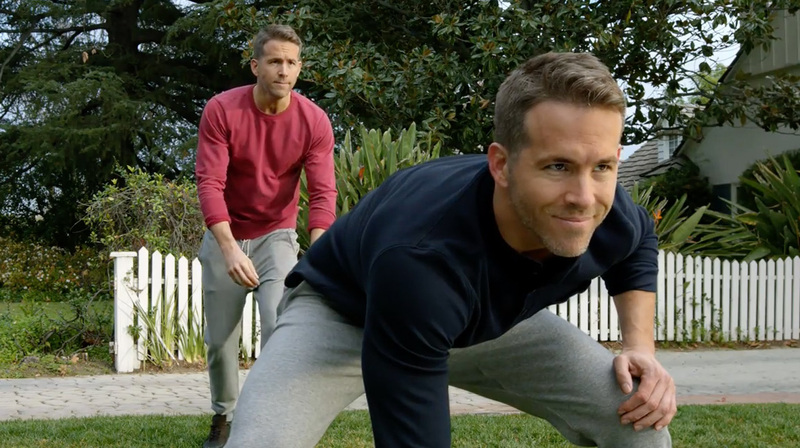 Hyundai squeezes not just one but—by our count—13 Ryan Reynolds into the first of its two in-game Super Bowl commercials, which rolled out online Monday. And to go along with the celebrity spot, the second spot features another big-game staple: talking animals. "Ryanville" is the stronger of the two ads, and makes good use of its celebrity subject, with perhaps a sly implicit commentary on celebrity obsession generally. It advertises the 2017 Hyundai Elantra and its Automatic Emergency Braking with Pedestrian Detection technology. It was directed by Peter Berg of Pony Show Entertainment and features the song "Whatta Man" by Salt-n-Pepa featuring En Vogue. A 30-second version of "Ryanville" will air during the second quarter of Sunday's game. The other spot, "The Chase," directed by Aaron Stoller of Biscuit Filmworks, will air in the first quarter. It features a comically urgent use of the voice-activated Blue Link Remote Start feature on the Elantra—and some amusing bear banter to cap it off. Hyundai will also air two 60-second spots during CBS's pre-game show on Sunday. "Better" follows a boy from birth to adulthood as he strives to make the world a better place. And "First Date," which will air in the pre-kick time slot, features Kevin Hart using Hyundai's Blue Link Car Finder feature to make sure his daughter gets home safely. Berg also directed "First Date." "Better" was directed by Fredrik Bond of MJZ Productions. UPDATE, Feb. 3: Here is the "First Date" spot, which rolled out online Wednesday. The creative across the four spots is intentionally varied. "[Super Bowl Sunday] is a day that you need to be out in front, and there needs to be a universal truth in your ads, and you need to give something for everyone," Tim Blett, COO at Innocean USA, told Adweek last week.